a Red Pumpkin Studio: But how are you going to make things? When I was leaving for basic training one of the questions I kept getting was "What about your art?" And it turns out that I did get a big opportunity to make pretty things. I designed our platoon t-shirt, and I have to say the results are pretty much awesome. Usually these things just have the platoon number on them, and maybe the school's logo, but we're going all out here! 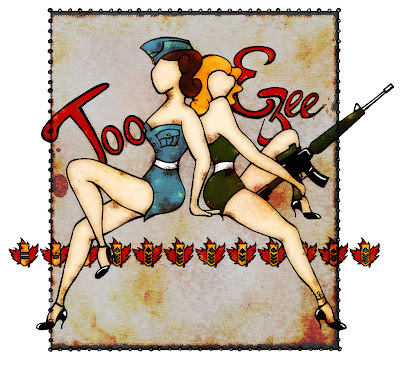 The design is based on 'nose art' (paintings on the front of planes) we saw at the Canadian War Museum, which you should all visit if you're ever in Ottawa. About two-thirds of my platoon is air force (myself included), so it's appropriate. 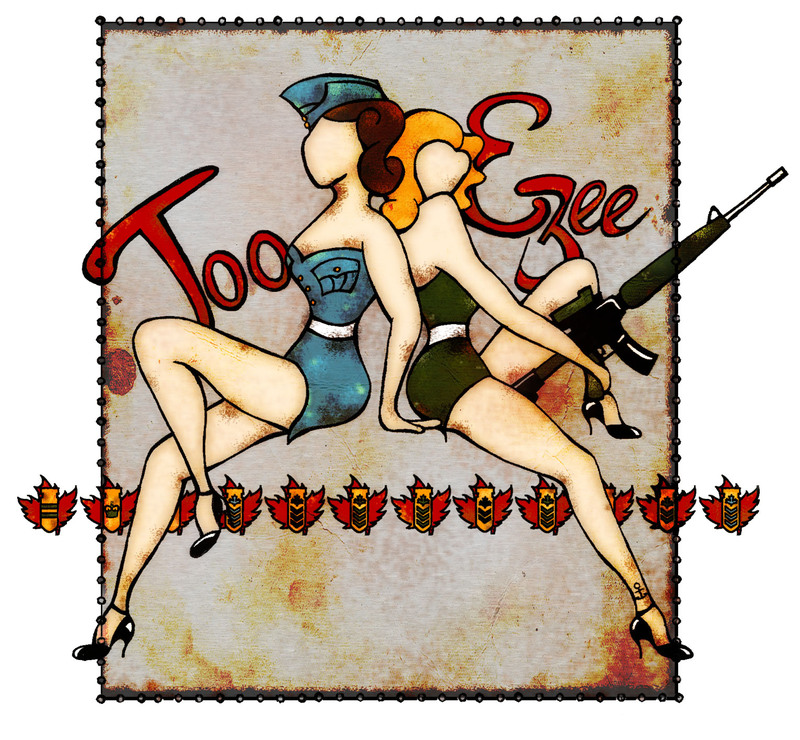 We have very little navy, so they only get the tattoo on the army girl. The saying is something our instructors say frequently that we've picked up on. They're mainly Francophone, so the spelling is supposed to pick up on their accent. The maple leafs with the bombs were taken directly from one of the pieces on exhibit. It was how the crew had marked their hits. It was a pretty cool design, so I used it and added the ranks of our instructors to them. Then I made it look vintage in Photoshop, and we're good to go! I have to say this is a really hot design!